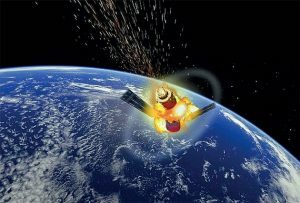 While officially ‘not directed against any country’, Wednesday’s anti-satellite (ASAT) missile test — in which a ballistic missile defence (BMD) system was used against a satellite, instead of at an incoming missile — brings to the fore India’s interests vis-à-vis China’s military modernisation, growing ASAT capabilities, coupled with Beijing’s attempts to change the status quo in Asia’s strategic fault lines. Prime Minister Narendra Modi’s announcement of the test at the fag end of his government’s five-year term, which has been marked with inadequate investments in India’s military reforms, is a problem compounded by the latest ASAT capability acquisition not tailored to support a coherent national security or space strategy. First, as China’s People’s Liberation Army (PLA) continues to undertake significant organisational reforms, the asymmetric inequalities between the India military and PLA are set to widen. Key to these reforms is the restructuring and integration of Chinese warfare capabilities in the space, cyber, electronic and psychological warfare to create the Strategic Support Force (SSF) in December 2015. The bedrock of PLA’s ‘informationised war’ capability is its expanding number of space-based reconnaissance, communications and navigation systems. In any conflict scenario, such capabilities would almost certainly be at the forefront of Chinese military might. Asymmetric capabilities like ASAT will be key for India in countering this development. Given China’s potentially increasing dependence on space for military purposes over the next 5-10 years, India’s operationalisation of an effective ASAT system could limit China’s ability to fight an informationised war. The denial of critical space-based C4ISR (Command, Control, Communications, Computer, Intelligence, Surveillance and Reconnaissance) capabilities would complicate PLA’s ability to deploy forces to the region of conflict and to operate effectively. In effect, an ASAT system would act as a force multiplier for India’s military effectiveness against a more capable force. This could force China to fall on learning to fight without space-based capabilities, which would take a concerted effort to develop redundant capabilities, potentially diverting resources and imposing costs. However, given India’s current ASAT capabilities are limited, Wednesday’s achievement won’t confer a decisive military advantage in every plausible conflict. Military satellites have a substantial range of orbital altitudes, starting from 300 km up to 36,000 km, posing a challenge to any future Indian ability to track or attack Chinese military satellites. Theoretically, only some of China’s ISR satellites that operate below 1,000 km would be most vulnerable to a kinetic ASAT missile attack. GPS and military communication satellites remain completely invulnerable to India’s current missile arsenal. India, on its part, is almost invulnerable to Chinese ASAT capabilities, as the Indian military is hardly dependent on satellites given the minimal number operated for military use. India can’t realistically counter Chinese combined arms military capability without becoming more imaginative in its capability acquisitions in the short term, given existing budget constraints. In this scenario, the acceleration of full development and operationalisation of indigenous ASAT capability, and its requisite enablers, is a relatively inexpensive asymmetric capability idea. Beyond the technical issues and potential military uses of ASAT systems, the development of an Indian system poses the possibility of heightened military competition, as China responds to India’s efforts to develop asymmetric capabilities such as ASAT weapons, complicating the strategic military relationship between Beijing and New Delhi.